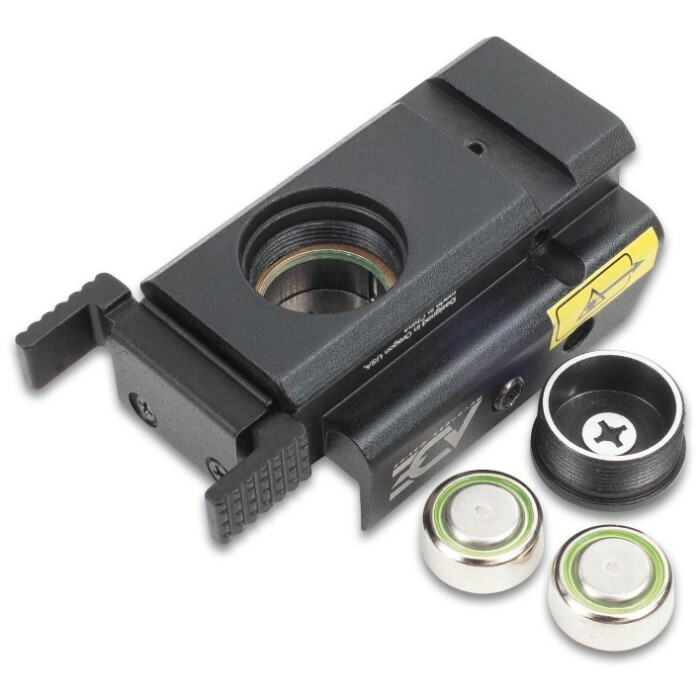 Low Profile Compact Red Laser Pistol Sight - Weaver And Picatinny Mount, Aircraft Aluminum Construction, Shock-Proof - Length 2” | BUDK.com - Knives & Swords At The Lowest Prices! 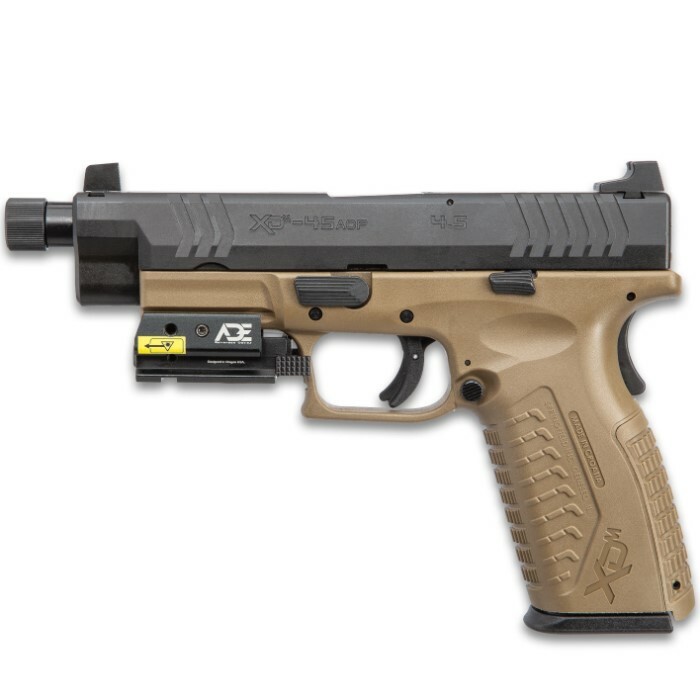 Dress up your pistol with this attractive accessory and watch your accuracy steadily improve with quicker target acquisition. 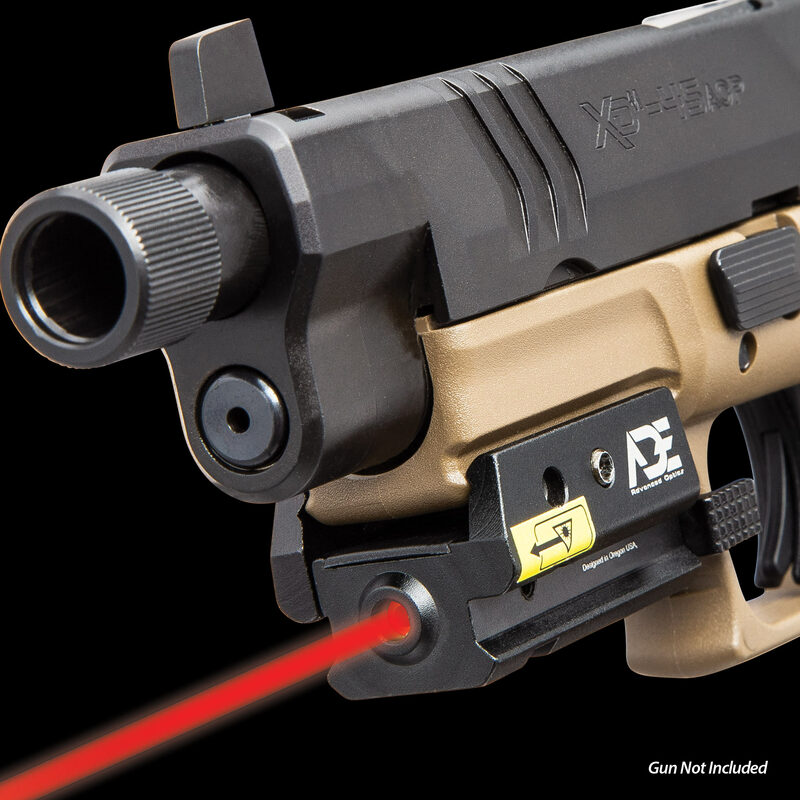 The Low Profile Compact Red Laser Pistol Sight is for a SIG, XD, GLK, S&W, or FN - anything with standard 21mm Weaver and Picatinny rails. The sight is constructed of matte black aircraft aluminum (6000 series), which makes it completely shockproof. 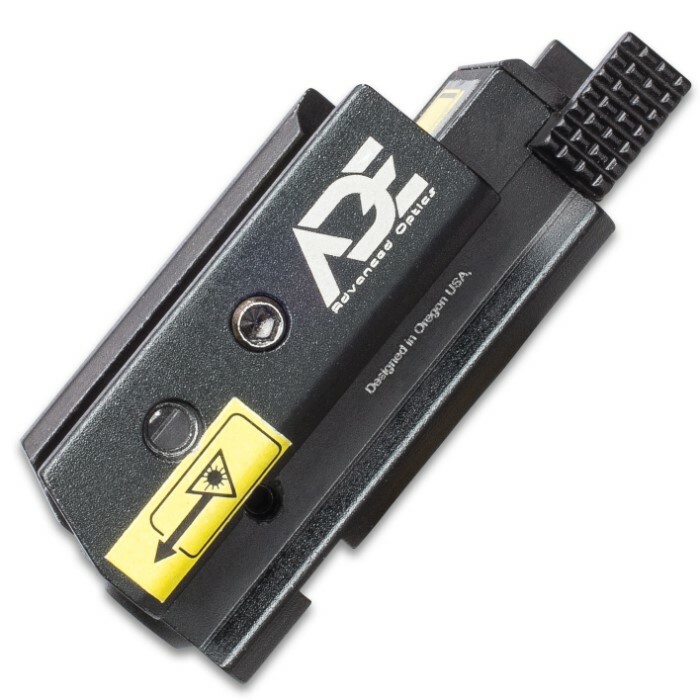 It has a battery-powered (battery included) Class IIIR laser with a 5mW power output and a horizontal on/off switch. The pistol sight is 2” in overall length with a 1 1/2” mount length and the windage and elevation can be adjusted with the included Allen key.